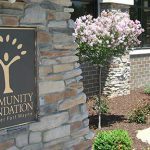 As a funder and a nonprofit organization itself, the Community Foundation of Greater Fort Wayne feels that solid, reliable policies, procedures and internal controls are crucial to a nonprofit organization’s overall health. Because the public entrusts nonprofits with their donations, it is important that we maintain the highest standards when it comes to stewardship responsibilities. 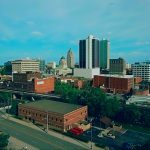 The Community Foundation of Greater Fort Wayne and United Way of Allen County, is excited to announce the Charitable Advisors’ team’s publication of the 2019 Northeast Indiana salary report. This is the third edition and we are pleased to offer this latest salary survey information as a critical tool for local nonprofit leaders. 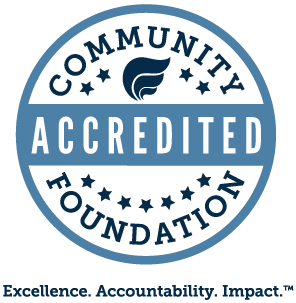 To assist area nonprofits with this task, the Community Foundation hosts interactive panel discussions and seminars, where we share steps to implement best practices for nonprofit organizations. We provide these informational sessions so that nonprofit organizations will gain valuable ideas to help safeguard their resources. Free accessibility website evaluation tool. 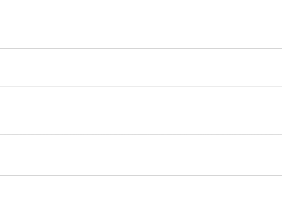 Federal Register: Nondiscrimination on the Basis of Disability; Accessibility of Web Information and Services of State and Local Government Entities. The Paul Clarke Nonprofit Resource Center at the Allen County Public Library houses a special collection of non-circulating materials on foundations, grants, fundraising, and nonprofit management. The collection is located in the Readers’ Services Department. Resource materials have been created to increase effective grantmaking and grantseeking in our community. The Go! Guides are a series of brochures focusing on fundamental issues for nonprofits. These guides offer information, advice, and sources of reference that include a concise summary of key points on a specific topic as well as references to additional easy-to-access sources of information on that topic. By clicking on the specific title of the Go! Guides brochure you are interested in, you will have access to downloadable and printable PDF files. The Go! Guides include a series of 10 brochures designed for use by nonprofit staff, boards and donors. 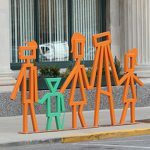 This project was made possible through a grant from the Foellinger Foundation and is being coordinated by the Community Foundation of Greater Fort Wayne and the Allen County Public Library Paul Clarke Nonprofit Resource Center. On behalf of the community foundations, United Ways and United Funds of northern Indiana, we are pleased to provide you with the 2014 Northern Indiana Nonprofit Salary Report. This collaborative effort builds upon the success of the 2012 Northeast Indiana Nonprofit Salary Report to include nine additional counties across north central and northwest Indiana. Prior to these reports, a comprehensive summary of nonprofit salaries and benefits did not exist, so we are very excited to begin a tradition that we feel is very important to the current and future vitality of the northern Indiana nonprofit sector.